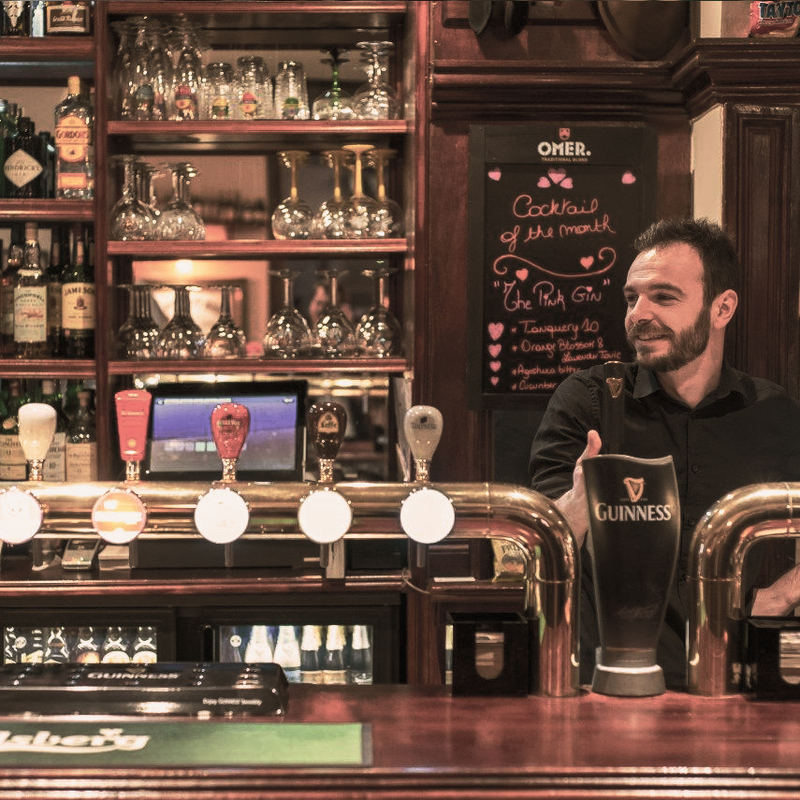 Situated at the heart of the European Union district in Brussels, Kitty’s offers a truly international environment, as the European Council, European Parliament and the Berlayment are literally across the road. Our international atmosphere is just as dynamic as our menu: it’s the perfect place to enjoy a relaxed business lunch, a long evening with friends on weeknights, or to get your nightlife fix on the weekends. We offer something for everyone. The food menu features a refined list of seasonally-driven classic and original dishes and our drinks menu offers a wide spectrum of whiskeys, an eclectic collection of craft beers on tap and in bottle, and a unique selection of wines from both old world and new.